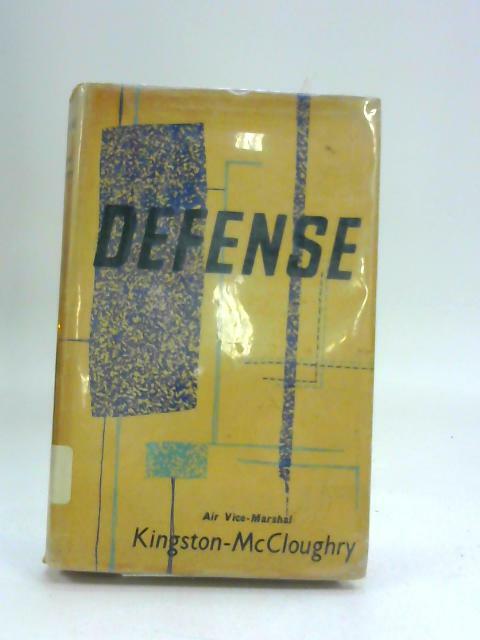 Defense Policy and Strategy by Kingston-McCloughry, Air Vice-Marshal E. J. 1960. 271 pages. This is an ex-Library book. Beige pictorial dust jacket, blue boards with gilt lettering. Library call card to both front and rear endpapers. Library stamps and tape marks to both pastedowns. Tape marks to front and rear Pages are lightly tanned and thumbed at the edges, with some creased corners. Binding has remained firm. Boards appear to be noticeably rub worn, with some moderate shelf wear to edges and corners, corners appear to be bumped. Tape to top and bottom of front and rear boards. Dust jacket is privately bound and attached to front and rear pastedowns. Loss to private binding to the rear. Dust jacket is privately bound and attached to front and rear pastedowns. Kingston-McCloughry, Air Vice-Marshal E. J.